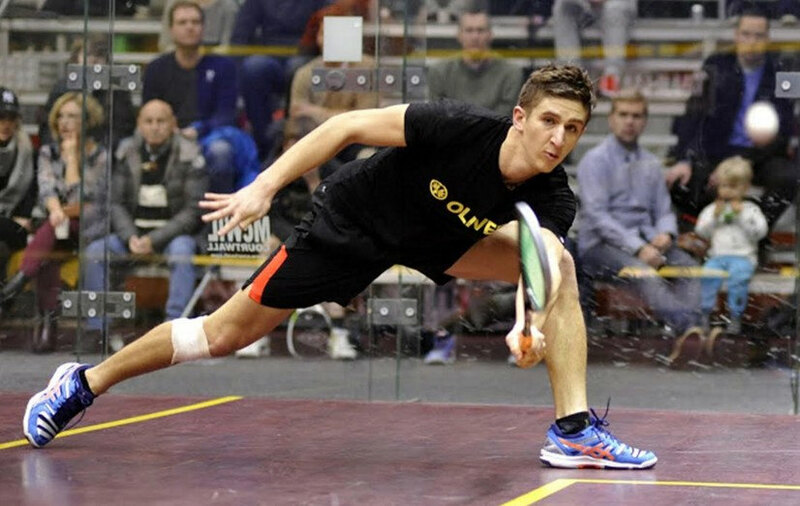 Matthew Hopkin from Australia became the new champion of the Suez Helsinki Challenger in the Talihalli in Helsinki. 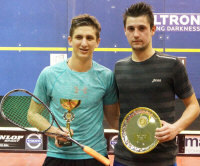 In the final Hopkin defeated last year’s runner up Baptiste Masotti from France with 3 games to 1. The winner was of course delighted to win the event and thanked Masotti for a good and fair fight. ”I did’nt make mistakes, he did in the end,” was Hopkin’s analysis of the match. 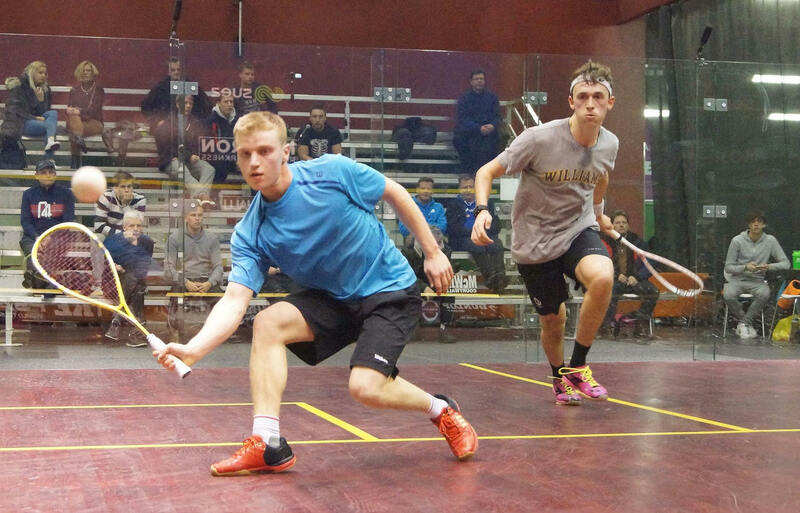 ”The fact that all matches were played on the glass was much appreciated. We don’t get that many chances to play on a glass court, now all matches, great,” commented the champion after the match. 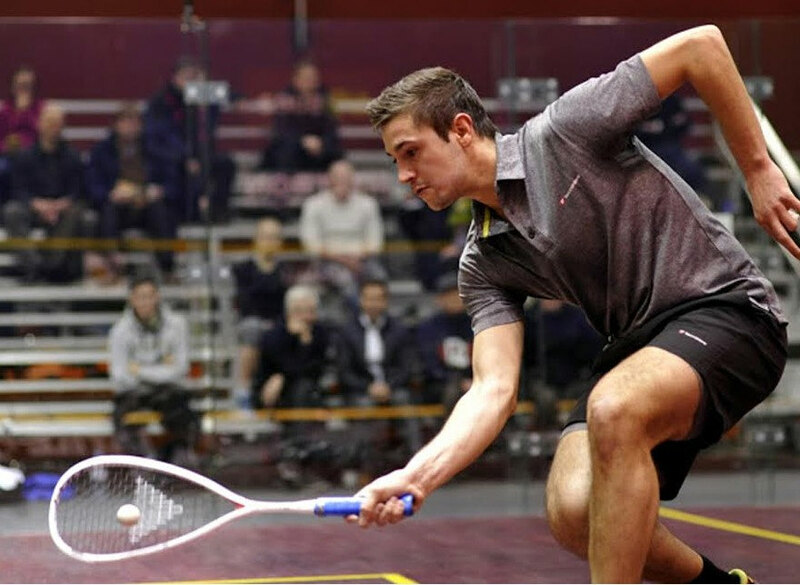 After two rounds of good squash on Saturday the Suez Helsinki Winter Challenger has reached the finals stage. 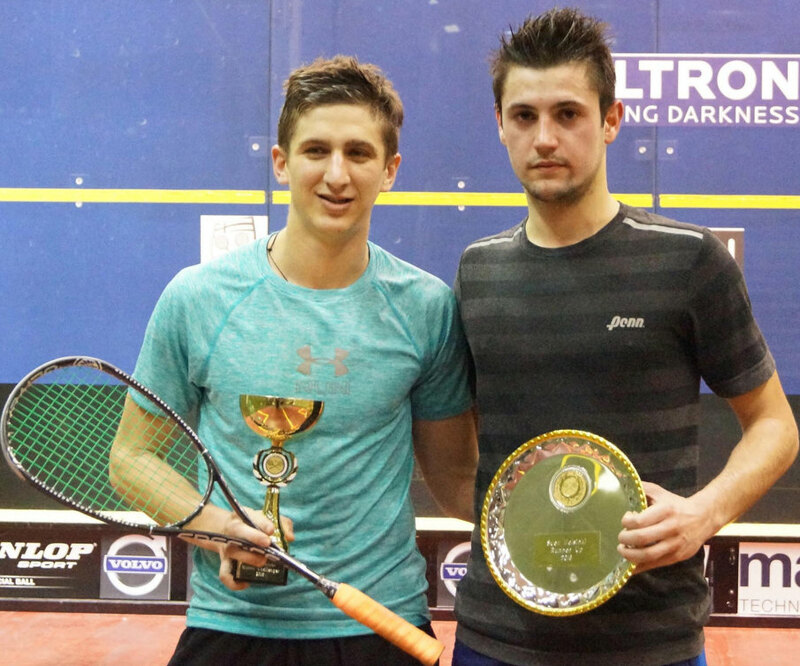 Last year’s runner up Baptiste Masotti showed good form in beating top seed Shehab Essam in the quarters and then secured a place in the final by an easy 3-0 victory over Joshua Masters. 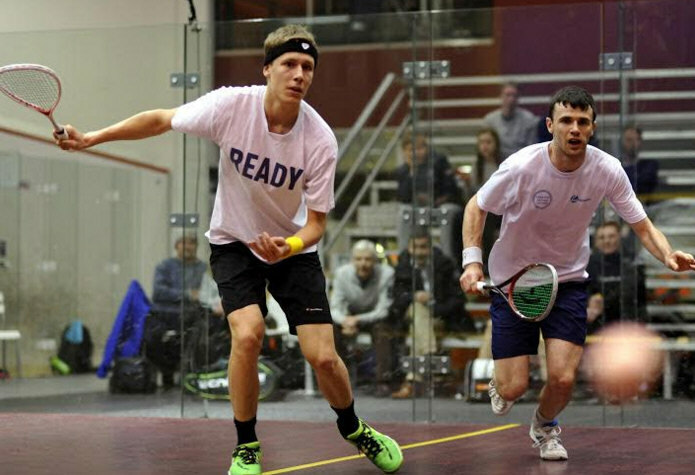 Matthew Hopkin took his final place by winning 8th seed Asim Khan in four games with three of the going to the tie break. In the Semi Hopkin put an end to the only Finn remaining in the draw, Kristian Rautiainen. 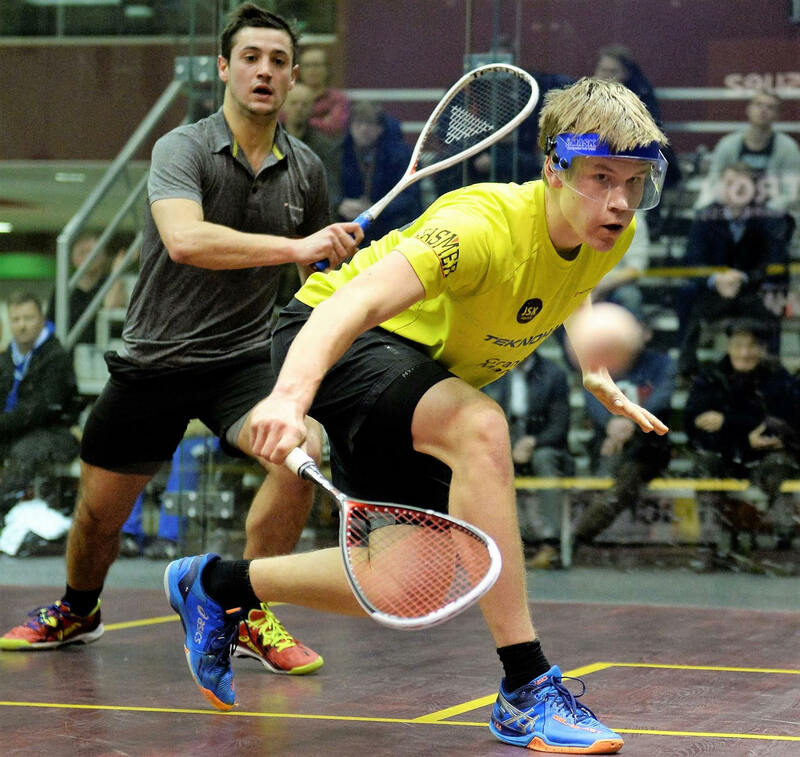 Kristian fought well but made too many errors to be able to win against a player like Hopkin. The day produced good entertainment and the croud is looking forward to an exciting match on Sunday afternoon. Wild card Kristian Rautiainen saved the night for the home crowd by coming from two games down to win against England's 6th seed Ashley Davies in the seventh match of the day. 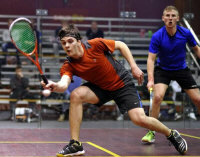 Kristian Rautiainen did not get his game going in the beginning of the match and Englishman Ashley Davies was in charge for the two first games. In the third Rautiainen found an extra gear and cruised to win the game. The rest of the match could have goine to either player but Rautiainen was the better player in the crucial points of the two last games. 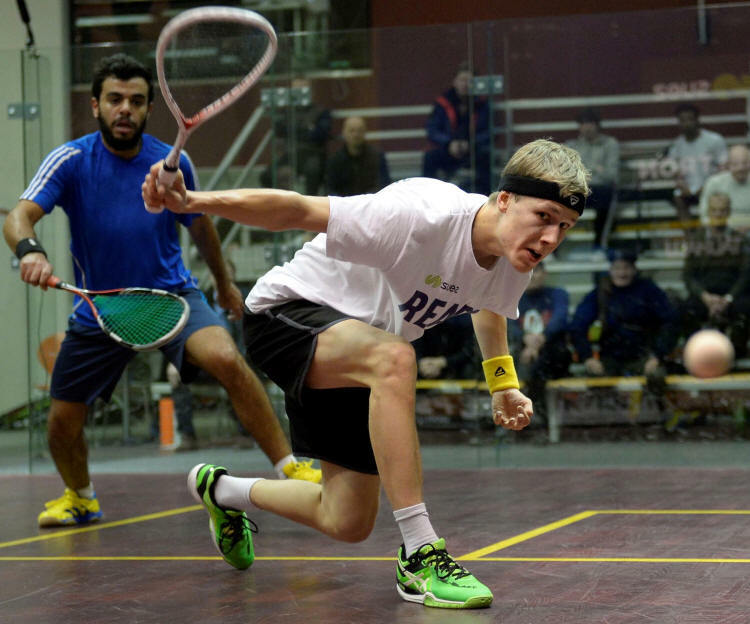 Jami Äijänen put up a good fight with top seed Shehab Essam from Egypt. He took the first game and was close in the second. 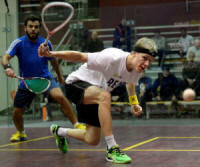 Essam was however a bit to difficult to beat and clinched the third and fourth games comfortably. The much awaited replay of last years final between Frenchman Baptiste Masotti and Finnish junior Miko Äijänen was an even match. Äijänen started stronger and got a 1-0 lead. The Frenchman stayed calm and kept a good pace while Äijänen seemed to be a little bit slower than usual. The score was quite even till the end, but Masotti stayed in command and won in four games. Straight games victories for Joshua Masters against Julian Tomlinson, Geoffrey Demont against Roshan Bharos and Matthew Hopkins against Kale Wilson. Asim Khan lost one game to Bradley Masters as did Aqeel Rehman to Tristan Eysele. Jami Aijanen was the only home player who made it to the main draw in the Suez Helsinki Winter Challenger in the Talihalli center, and takes on Baptiste Masotti in the first round, which means that the main draw kicks off where the previous edition ended! Aijanen had an easy first round with local Joonas Karhu but had to come from two games down against third seed Robert Dadds in the second round. Aijanen was in the end the stronger of the two and claimed the place in the main draw in five games. Top seed Julian Tomlinson had to fight hard to beat local Tatu Knuutila, and he was rewarded with a place in the main draw by a 3-2 victory. Roshan Bharos and Bradley Masters had a much easier run to the main draw through straight games victories against Hendrik Vossing and Elliot Selby.